Although the Preterist movement itself is moving in a healthy direction, some errors have found their way into the fabric of our beliefs. In this article we want to address what seem to me to be the most critical and prevalent errors facing Preterism today. This is the most prevalent and persistent error I have observed in Preterism today. It is also the most natural to fall into and, probably, the easiest to get out of. It is the most natural to fall into because the destruction of Jerusalem and end of the Jewish economy occupy so large a portion of scripture, and so many prophetic “roads” intersect at the fall of Jerusalem in AD 70, that it is almost natural to think of the second coming exclusively in terms of the destruction of the Jewish nation. At this point, our conclusions probably began to drive our interpretation of scripture; consciously or unconsciously, we most likely began to interpret scripture to fit our new paradigm. This is natural and, to some extent, unavoidable. Our tendency as human beings to use deductive reasoning means that we move from major and minor premises to what seem to be their logical conclusions - “If this, then that.” In most cases, the fact that our new paradigm was driving our interpretation of scripture was harmless: nothing untoward resulted and our conclusions were often very nearly correct anyway. In other cases, the result was not so harmless. Believing that the eschaton was essentially Jewish may have caused us to interpret the “heavens and earth” of II Peter in terms pertaining exclusively to Palestine and the Mosaic law, but nothing evil resulted from this per se. However, some took the further step and, reasoning backward, concluded that if the heavens and earth of II Peter were local and covenantal, then so were Noah’s flood and the Genesis account of creation. We were surprised to learn that, in fact, the creation account was not what it claimed to be at all, but a veiled and mysterious account, completely unknown to Moses and the prophets, of God’s making a covenant with Adam; violation of that covenant was later avenged by a regional flood, destroying some unspecified seed line of purported covenant-breakers. All that language about the creation of the sun, moon, stars and living things in the period of six days was simply glossed over or dismissed to make room for the new hermeneutic. Likewise with the flood: language about the waters covering the mountains and every living thing dying was conveniently swept aside to make room for the new interpretation, the illegitimate offspring of a union between preterism and modernistic skepticism. And the times of this ignorance God winked at; but now commandeth all men everywhere to repent: because he hath appointed a day, in the which he will judge the world in righteousness by that man whom he hath ordained; whereof he hath given assurance unto all men, in that he hath raised him from the dead. Let it be emphasized that Paul states that God was calling all men everywhere to repentance, because he was about to judge the world, and had given assurance to all men, by raising Jesus from the dead. Paul was in Athens when he made this appeal. Will any contend he has merely the fall of Jerusalem in mind? That “all men everywhere” can be compressed into the compass of Judea? That judgment of “the world” has only the Jews in view? I remember twenty-five years ago when I first became a Preterist how this verse troubled and perplexed me. How could this verse ever be brought within the scope of an essentially Jewish eschaton? The answer, of course, is that it can’t. The obvious and irresistible conclusion is that the eschaton involved more than Judea and the Jews; all men would experience a time of universal wrath and temptation in which God would subdue Christ’s enemies and fashion the world anew. For corroboration of this, the reader need only consult Daniel, chapters two and seven, which depict the coming of Christ against the world system and civil power, without ever once mentioning the Jews. Clearly, no objective study of the scripture can sustain the notion of an eschaton that was essentially local and Jewish. Another idea prevalent today, related to the idea of an essentially local eschaton, but which I deem equally mistaken, is the idea that the heavens and earth destroyed at Christ’s coming were the Old Covenant. There is no direct teaching in the New Testament setting forth this interpretation. We (myself included) arrived at it by process of deduction. Unfortunately, we reasoned from mistaken premises to a wrong conclusion. Heb. 12:26 says, “Yet once more I shake not the earth only, but also the heaven.” The theme of the epistle to the Hebrews is the removal of the typical system of the temple service and the coming day of wrath upon the Jewish nation. Taken in context, the implication seemed irresistible that the heavens and earth in view referred to the system set in place by Moses. That more was involved than this never entered our mind. Other passages with less obvious connection and reference to the old law were then interpreted to fit the mold (viz., II Pet. 3). Will anybody argue that this passage refers only to the fall of Jerusalem and the covenantal system of the Mosaic law? The prophecy was spoken in the context of the rebuilding of the Jerusalem temple by the captivity returned out of Babylon. The temple that had been rebuilt was nothing in comparison with the temple of Solomon’s glory. Yet, God said a day would come when he would fill his temple with the riches of the Gentiles by the overthrow of their kingdoms and the glorification of his house (the church). The process by which he would glorify his house entailed judgment upon all nations and the overthrow of the existing worldly powers. Obviously, the Hebrew writer interpreted this to include the Jerusalem and the Jews who were persecuting the church, but it is we, not he, that limited it to the Jews and failed to see the larger context of the original prophecy. The lesson here is we cannot understand the New Testament correctly before we have gained a thorough knowledge of the Old. This one passage from Haggai is sufficient to dispel the idea that the eschaton was local or essentially Jewish and that the heavens and earth were the Old Law. Rather, what Haggai was prophesying was the same thing as Daniel two: the overthrow of the world system marked by rebellion to the gospel and rule of Christ. The eschaton would topple governments, destroy nations, and reduce the world to rubble, from which the church would emerge victorious and go on to rule the nations with Christ, bending them to his word and will. A close reading of Isaiah sixty-five and sixty-six will show that Wallace is correct. Although the prophet looks unto New Testament times, it is not the New Testament he is describing, but the happy estate of God’s people in the world where they are free from the yoke of their oppressors and the Messiah rules all nations with a rod of iron. This brief survey of King’s and Frost’s beliefs should make clear that, for them, salvation and resurrection is totally dependant upon Israelitish flesh. Hear Frost again: “Israel, then, must enter in through the body of Christ and be incorporated in it. Christ was the way of their redemption because he was covenantally tied to them in the flesh…Israel ‘after the flesh’, being of the same seed as Christ (seed of Abraham), could enter in through his death…into their glorious sin-free life with God forever…God forgave Israel’s sins, and through them, the sins of the world.” Thus, it was an “organic bond,” consisting in Israelitish flesh that enabled Christ to save the Jews! Gentiles, who are not tied covenantally to Christ in the flesh, must be grafted onto Israel that through the Jews God they may obtain remission of sins! Let those words sink down in your ears: “God forgave Israel’s sins, and through them, the sins of the world.” Hence, according to Frost, we come to Jesus only indirectly through the Jews. But there is more. Thus, for King and Frost Israelitish flesh is the sine qua non (“without which not”) of mankind’s salvation; it is the hinge upon which all things turn. However, virtually every point they rest their position upon is without scriptural support. Contrary to Frost’s assertion that the resurrection was “a Jewish hope” based upon a promise to Israel, the promise of the resurrection originates in the garden at the very fall of the race. God promised the woman, who became a symbol for his spiritual people, a “seed” that would crush the head of the serpent, whose poison, lying beneath its tongue, became a symbol for death: “And I will put enmity between thee and the woman, and between thy seed and her seed; it shall bruise thy head, and thou shalt bruise his heel.” (Gen. 3:15) The promise of a redeemer to Adam and Eve was of a universal nature; it was not to Jews, or the seed of Abraham, but to the father of the whole race of mankind. Frost states that the Spirit, which for him is the “beginning” of the resurrection, was promised only to Israel. But what says the prophet Joel? “I will pour out my spirit upon ALL FLESH.” (Joel 2:28) “All flesh” means all races of men. “All flesh” would see the salvation of God. (Lk. 3:5; cf. Isa. 40:5) “All flesh” is as grass. (Isa. 40:6; cf. I Pet. 1:24) “All flesh” would know the Lord is God. (Isa. 49:26) The Lord would plead with “all flesh” and “all flesh” would worship before him. (Isa. 66:16, 23) Where is the “priority” of Israelitish flesh among these? Frost claims that Jesus was Israel’s Messiah; that Jesus died specifically for the sins of the Jews. Contrary to Frost, Haggai calls Jesus the “desire of all nations.” (Hag. 2:7) All nations looked for God’s salvation; the whole creation groaned and travailed in pain looking for redemption, not just the Jews. (Rom. 8:19-23) John described Jesus as the Lamb of God which “taketh away the sins of the world.” (Jno. 1:29) “For God so loved the world, that he gave his only begotten Son.” (Jno. 3:16) Jesus was sent to save men of every race and language from sin, not merely the Jews. For King and Frost, remission of sins is the peculiar property of Israel. Gentiles must be grafted onto the root of national Israel if they would be saved. “God forgave Israel’s sins, and through them, the sins of the world.” But Jesus, not Israel, is the root that sustains the tree of God’s people. Frost and King make this error from a misreading of Rom. 11:16-18: “For if the firstfruit be holy, the lump is also holy: and if the root be holy, so are the branches. And if some of the branches be broken off, and thou, being a wild olive tree, wert graffed in among them, and with them partaketh of the root and fatness of the olive tree; boast not against the branches. But if thou boast, thou bearest not the root, but the root thee.” The “braches” that were broken off were unbelieving Jews; believing Gentiles were being grafted into the tree of God’s people. That Jesus is the root is easily seen from the fact that the Jews cannot be both the branches and the root; they cannot be the source of life for themselves. Christ is the root that gives life to the whole. Paul makes clear who the root is; right in the very book of Romans itself Paul reveals that Jesus is the “root of Jesse” which rises to bring life to the Gentiles. (Rom. 15:12) John also refers to Jesus as the “root of David.” (Rev. 5:5; 22:16) Nowhere are the Jews ever called anything but a “root of bitterness.” (Heb. 12:15) The very notion that they are the root of life is stunningly erroneous and betrays their fundamental misreading of scripture. King and Frost claim that believers from fleshly Israel were the firstfruit that sanctified the whole. But Jesus is the firstfruit. It is Jesus who is foreshadowed by the Jewish feast of firstfruits, not Israel. According to the law of Moses, the sheaf of firstfruits was to be waved by the priest “on the morrow after the Sabbath.” (Lev. 23:9-14) This pointed to Jesus’ resurrection upon the first day of the week. (Jno. 20:1) Hence, Paul calls Christ the firstfruit of them that slept. (I Cor. 15:20, 23) There is no sanctifying power in Israelitish flesh that requires Gentiles to approach Christ indirectly through the Jews. Frost claims that “the new covenant is made only with Israel.” Here is perhaps his most profound error of all. “They are not all Israel which are of Israel: Neither, because they are the seed of Abraham, are they all children: but, but In Isaac shall thy seed be called. That is, They which are the children of the flesh, these are not the children of God: but the children of the promise are counted for the seed.” (Rom. 9:6-8) Thus, fleshly Israel is not the Israel of the New Testament, and, in fact, never was. Fleshly Israel was always a type and foreshadow of the true Israel of God; believers are counted for the seed and are the true Israel (Gal. 6:16); it is with them, not fleshly Israel, that the New Testament is made; it is they who have the promises, not fleshly Israel. Fleshly Jews were never the object of God’s promised salvation; the promises belonged to “spiritual” Jews, to those who were “Jews” inwardly, in heart, not in flesh. (Rom. 2:28, 29) The whole King/Frost edifice, built upon the erroneous assumption that “Israel” was the Old Testament nation, thus collapses upon itself. These bizarre and absurd doctrines are the product of misinterpreting the eschaton in exclusively local and Judaistic terms. The whole King/Frost soteriology is deformed and twisted because of it. Interwoven with the idea that salvation belongs to Isrealitish flesh, is the concept that the power of sin and death was the Mosaic law. This comes through in the King/Frost notion that historical (Old Testament) Israel was sown in imperfection under the law, but would be saved through the “perfection of the first fruits” by the baptism of New Testament Jews into Christ. This is where King’s “corporate body” view of the resurrection comes into play. As we shall see, this false system of theology also holds the seeds of Universalism. Of course, the whole notion that the eschatological resurrection was “corporate” is nonsense. The eschatological resurrection was from hades, not from Judaism or even from sin. A simple reading of Rev. 20:11-15 will prove that this is so. The root of King’s error is a confusion of justification with resurrection. It is true that the New Testament sometimes speaks of man’s justification as a type of resurrection, but these passages are merely figurative and soteriological, not literal and eschatological. (See Jno. 5:25; Rom. 6:3-6; Col. 2:11, 12; Eph. 2:1, 6) However, notice King’s belief that mankind’s problem of sin and death originates in the Mosaic law, and that by removal of the Mosaic law that his problem is solved. It is no secret that the King camp is host to a strong contingency of Universalists. King and others in the circle of his influence have expressed their inclination toward universalism in no uncertain terms. The reason should now be apparent: if the state and power of sin and death was the Mosaic law, then removal of the law would result in universal justification. Notice King’s statement: “the state of sin and the law are abolished.” Thus, the logical implication of King’s Jewish soteriology and eschatology is the complete abolition of the state of sin and death for all mankind; viz., universalism! Man is able to recognize that some things are inherently evil even without the benefit of divine revelation. Death reigned from Adam to Moses through the violation of unwritten moral precepts extant in man’s conscience (whatsoever is not of faith is sin). Under the law of Moses, these precepts were written and codified, not brought into existence; the law of Moses was superimposed upon the law of sin and death, it did not create it. Other laws were added, including laws regarding ceremonial feasts, forms of worship, the temple and priesthood, and others necessary to the health and safety and orderly arrangement of society. Paul called the law of Moses a “ministration of death” (II Cor. 3:7, 9), not because it created sin where sin did not previously exist, but because the law elucidated sin that already existed. (Rom. 7:7, 13) Moreover, the law of Moses made no provision for pardon; the blood of bulls and goats could not take away sin. (Heb. 10:4) Although the law of Moses has been taken away, the law of sin and death exists even today. All who sin come under condemnation of this law (albeit, in Christ, man can find grace upon repentance). If sin were imputed only on the basis of the Mosaic law, then grace would be universal and unconditional for the Mosaic law is now annulled. But as it is, even though the Mosaic law is annulled, men continue to come under condemnation of the law of sin and death. By his substitutionary death, Christ satisfied the law of sin and death, he did not destroy it or take it away. By participation in Christ’s death, man is justified before God and made a partaker of eternal life as a matter of law. As long as he continues in a state of grace, the blood of Christ preserves him spotless before the throne. When he finally experiences physical death, he will then, and not before, enjoy resurrection life in glory. The assertion of King and Frost that death reigned by the Mosaic law is without scriptural basis and must be rejected. The four errors discussed here are all related, each more or less shares basic suppositions giving rise to the others. 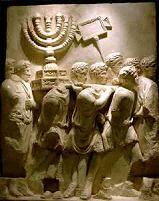 The notion of a local and essentially or exclusively Jewish eschaton is the fount whence they all flow. It has lent itself to numerous errors, including the regional flood, old-earth creationism, and the Universalism of Max King. If Preterism is to continue free from error, it must expand its view of the eschaton to accord with that presented in scripture. Regius Professor of Hebrew at the University of Oxford, Professor Barr is on record, saying, "Probably, so far as l know, there is no professor of Hebrew or Old Testament at any world-class university who does not believe that the writer(s) of Gen. 1-11 intended to convey to their readers the ideas that (a) creation took place in a series of six days which were the same as the days of 24 hours we now experience (b) the figures contained in the Genesis genealogies provided by simple addition a chronology from the beginning of the world up to later stages in the biblical story (c) Noah's flood was understood to be world-wide and extinguish all human and animal life except for those in the ark. Or, to put it negatively, the apologetic arguments which suppose the 'days' of creation to be long eras of time, the figures of years not to be chronological, and the flood to be a merely local Mesopotamian flood, are not taken seriously by any such professors, as far as I know." The following material is taken from the author’s work Building with Wood, Hay, and Stubble - An Examination of King-Frost Resurrection Errors, originally published in 2004. Max R. King, The Cross and the Parousia of Christ, p. 674; emphasis added. Ibid, p. 677; emphasis in original. Ibid, pp. 396, 476, 489, 490. Samuel M. Frost, Exegetical Essays on the Resurrection of the Dead, p. 172. Ibid, p. 48; emphasis in original. “Messiah died on behalf of the sins of His people according to the Scriptures of the Jews.” Samuel M. Frost, Exegetical Essays on the Resurrection of the Dead, p. 89. Ibid, p. 90; cf. Max R. King, The Cross and the Parousia of Christ, p. 649, 650, 652. Ibid, p. 75; cf. 77. Max R. King, The Cross and the Parousia of Christ, p. 516, 593; emphasis in original. Samuel M. Frost, Exegetical Essays on the Resurrection of the Dead, pp. 49, 52. Ibid, p. 158; emphasis in original. Max King, The Spirit of Prophecy (Warren OH, 1971 ed. ), p. 204. Ibid, p. 191; cf. 210, 212. Max R. King, The Spirit of Prophecy (Warren, OH, 1971), pp. 144. Max R. King, The Cross and the Parousia of Christ, p. 644.